“At the heart of resilience is a belief in oneself—yet also a belief in something larger than oneself. So how do we fortify our psyche to ride the waves of adversity rather than being pulled under by the torrent? How is it that some people handle incredible amounts of stress while others quickly fall apart? 1. They know their boundaries. Resilient people understand that there is a separation between who they are at their core and the cause of theirtemporary suffering. The stress/trauma might play a part in their story but it does not overtake their permanent identity. 3. They cultivate self-awareness. Being ‘blissfully unaware’ can get us through a bad day but it’s not a very wise long-term strategy. Self-awareness helps us get in touch with our psychological/physiological needs—knowing what we need, what we don’t need, and when it’s time to reach out for some extra help. The self-aware are good at listening to the subtle cues their body and their mood are sending. 4. They practice acceptance. Pain is painful, stress is stressful, and healing takes time. When we’re in it, we want the pain to go away. When we’re outside it, we want to take away the pain of those who we see suffering. Yet resilient people understand that stress/pain is a part of living that ebbs and flows. As hard as it is in the moment, it’s better to come to terms with the truth of the pain than to ignore it, repress it, or deny it. Acceptance is not about giving up and letting the stress take over, it’s about leaning in to experience the full range of emotions and trusting that we will bounce back. 5. They’re willing to sit in silence. 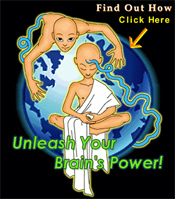 We are masters of distraction: T.V., overeating, abusing drugs, risky behavior, gossip, etc. We all react differently to stress and trauma. Some of us shut down and some of us ramp up. Somewhere in the middle there is mindfulness— being in the presence of the moment without judgment or avoidance. It takes practice, but it’s one of the purest and most ancient forms of healing and resilience-building. 6. They don’t have to have all the answers. The psyche has its own built-in protective mechanisms that help us regulate stress. When we try hard to find the answers to difficult questions in the face to traumatic events, that trying too hard can block the answers from arising naturally in their own due time. We can find strength in knowing that it’s okay to not have it all figured out right now and trusting that we will gradually find peace and knowing when our mind-body-soul is ready. 7. They have a menu of self-care habits. They have a mental list (perhaps even a physical list) of good habits that support them when they need it most. We can all become self-care spotters in our life—noticing those things that recharge our batteries and fill our cup. In part two of this resilience blog series, my guest Karen Horneffer-Ginter, author of Full Cup, Thirsty Spirit: Nourishing the Soul When Life’s Just Too Much, shares her 25 ideas for cultivating resilience. Her blog just might inspire you to create your own self-care menu. Karen has taken the menu idea a step further by designing a self-care poster that serves as visual inspiration to nourish the soul when life’s just too much. We can all learn how to be better supporters on other people’s team. In this L.A. Times article, “How not to say the wrong thing”, psychologist Susan Silk and co-author Barry Goldman help readers develop a strategy for effectively supporting others and proactively seeking the support we need for ourselves. Remember, it’s okay to communicate to our supporters what is and isn’t helpful feedback/support for our needs. 9. They consider the possibilities. We can train ourselves to ask which parts of our current story are permanent and which can possibly change.Can this situation be looked at in a different way that I haven’t been considering? This helps us maintain a realistic understanding that the present situation is being colored by our current interpretation. Our interpretations of our stories will always change as we grow and mature. Knowing that today’s interpretation can and will change, gives us the faith and hope that things can feel better tomorrow. Writing is one resilience strategy we can literally keep in our back pocket. But there are other ways to get out of our head. Looking back at #5, it’s actually okay to distract ourselves sometimes. That is, it’s okay when the distraction serves to get us out of rumination mode and bring us back to the present moment. Healthy distractions include going to the gym or going for a walk, cooking and baking, volunteering, or any of the self-care items on your self-care menu from #7. For more ideas read part 2 of this blog here. What keeps you resilient and what’s on your self-care menu? Join the discussion below. Brad Waters, L.C.S.W. takes an integrative strengths-based approach to well-being and life strategy. His phone-based one-on-one personal development consulting helps people who are lacking confidence, feeling stuck, or are unsure of their path forward find a sense of energy and direction. Brad is the author of the new workbook Exploring Your Life Story, a journaling and personal storytelling project designed to foster creativity and personal growth. Additionally, he is a licensed clinical social worker, freelance writer and blogger. Visit his website howaboutcake.com to download his free mindfulness ebook “Everyday Mindfulness” and sign up for his newsletter. You can also follow him on Facebook and read more of his excellent articles on his Psychology Today blog Design Your Path.